Many former colonies have a public holiday named Emancipation Day, which commemorates the abolition of slavery. 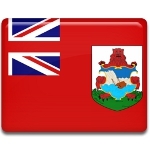 In Bermuda, it is celebrated on the Thursday before the first Monday of August. It is better known as the first day of Cup Match, a two-day cricket tournament. Cricket is one of the most popular sports in Bermuda. Every summer, the whole of Bermuda enjoy an annual cricket tournament between the two rival cricket clubs from Somerset and St George's. It is known as Cup Match. The first Cup Match tournament was held in 1902. The tournament gained such popularity, that a lot of people ditched work to watch it. Instead of fighting these absences from employment, the government of Bermuda introduced a two-day public holiday in 1947. The first and the second day of the holiday are known as Emancipation Day and Somers Day, respectively. Emancipation Day marks the abolition of slavery in Bermuda. The first slaves were brought to the archipelago soon after it became an English colony in the 17th century. Slaves often attempted to run from their masters and plotted against them. In 1807, the slave trade was outlawed in Bermuda. On August 1, 1834, all slaves were finally freed, when the Slavery Abolition Act 1833 came into effect.